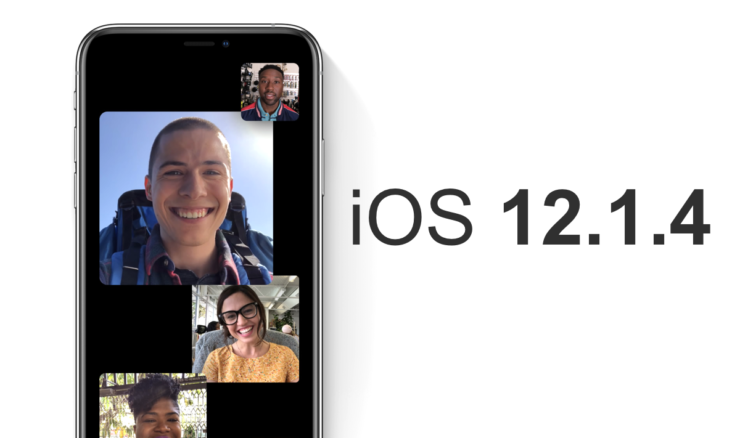 Apple Releases iOS 12.1.4 With Fix for Group FaceTime Bug – Download Now! You can now download iOS 12.1.4 for iPhone, iPad and iPod touch with fix for the alarming Group FaceTime eavesdropping bug. Apple has released the iOS 12.1.4 update for all compatible (64-bit devices only) iPhone, iPad and iPod touch devices with fix for an issue that allowed users to eavesdrop on a person by initiating a Group FaceTime call. It’s highly recommended that you go ahead with the installation of this update in order to make sure things are nice and secure for everyone out there. However, do keep in mind that even if you don’t install the update, Apple has disabled the Group FaceTime feature, therefore you must be on the latest release in order to use Apple’s flagship feature for iOS 12. In order to download and install iOS 12.1.4, simply connect your device to a wall outlet and then to a WiFi network. Now simply navigate to Settings > General > Software Update and download the update from here. The entire download will take a few minutes and your phone will restart for installation. You have the complete option to postpone the update if you like. But given the current situation and if you make do with Group FaceTime then make sure you download iOS 12.1.4 right away. Rest is entirely your call. Please make sure that you backup all your data to iTunes or iCloud before going ahead. A clean install will wipe off your device, allowing you to start from scratch.